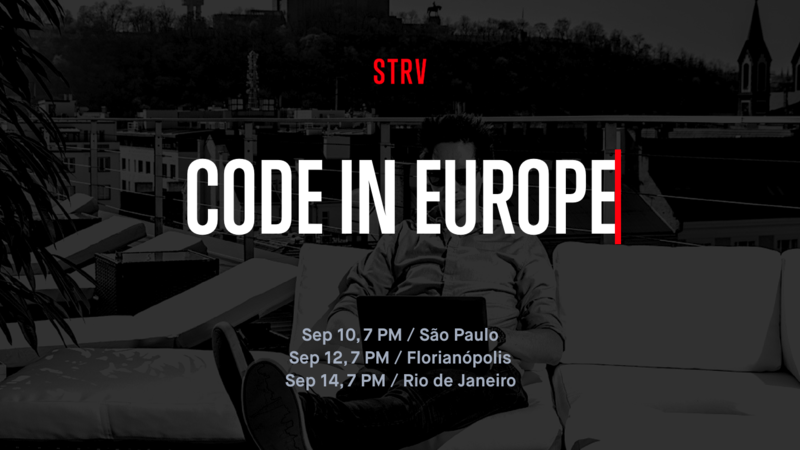 Nearly a year ago we initiated our international recruitment programs at STRV, beginning with a big trip to Colombia, some smaller events in the US and Portugal, and then most recently a visit to Brazil. I’ve prepared some helpful insights which we learned along the way. As a software engineering company focused on the US market, we are growing fast. However, the local market in the Czech Republic is fairly limited, and our pass rate is roughly 4%, therefore, we need to see hundreds of candidates in order to select the best. To achieve this, we expanded our recruitment efforts abroad and at present are at a 50/50 ratio for local and international hires. Smaller hires can be done remotely via international job boards (Glassdoor, Angellist, Stackoverflow, Linkedin), however, if you need a bigger boost we’ve found that an international recruitment tour is the most effective. 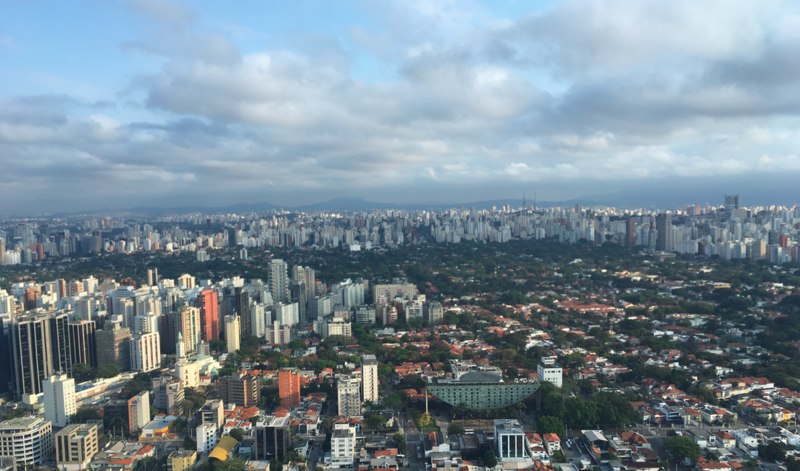 For example, these are the results of our latest mission to Brazil: 1 week, 3 events (Sao Paulo, Rio de Janeiro, and Florianópolis), 350 registrations, 200 attendees, 40 interviews and 7 hired engineers (not a final figure yet). 1) Pick a destination from where you already have an employee to get useful market insights, tips, and advice. Think of a valuable proposition or a way to best sell your destination to the specific market. For instance, people from South America appreciate Prague’s safeness, while candidates from the US find accessible healthcare and reasonable living costs attractive. 2) If you don’t have a globally famous brand (because you are a startup for example), you should first establish trust and confidence: What’s your market & business model? Who are your customers? How stable is your company? How quickly are you growing? What are your company’s plans and goals? Having your CEO on-sight and ready to explain these points to your potential candidates will help tremendously. 3) Check the city map and find the neighborhood with the highest concentration of IT companies. Book a hotel in that area with a suitable conference room and required infrastructure. Also, the hotel should have a calm lobby or ideally a hotel café to do the interviews the next day. Coworking centers or other event places simply aren’t as effective. 4) One month ahead, we launch a Facebook campaign to promote the event, targeting interests and location. We test different creatives (texts, images, calls to action) to find the most effective one. Total advertising spent per one foreign mission averages $1000 USD. 5) Contact the local IT community and kindly ask them to share your event. Obviously, they won’t be super excited about sharing a recruitment content but usually, some of them will help. Remember to invite them to the event itself to meet local IT influencers. 6) In the case of free events, people tend to register and then forget about it. It’s important to have a sequence of emails for attendees. To make these reminders more valuable, we share resources about the company (video, blog posts) to make people more curious. A Follow-up email after the event has concluded is also required. 7) We sent an invitation to the Czech embassy and had an ambassador and general consul attending our events in both Colombia and Brazil. A short speech and warm welcome to come work in our country from official state representatives makes a great impact. Also, we want to have contacts with the embassy to ensure a smooth visa process for our candidates. 8) Each event follows a similar process: Introduce the company, customers, projects, technologies, culture, recruitment process, destination country, and relocation support. Usually, we do this 1.5 hours including a Q&A. It’s important to remember that no one wants to attend a boring recruitment meeting. There must a professional set up, music, videos, refreshments as well as lots of drive, energy, and fun. Also, don’t forget to learn the basics of the local language to show respect to the host country. 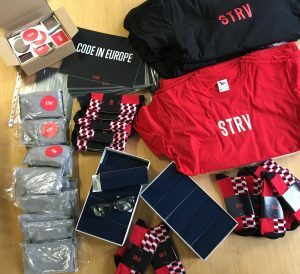 9) We always have three people present at the event: Our CEO, Head of HR and a local engineer who already works for STRV. He shares practical insights about moving to Prague and working for our company. Attendees are really interested in real stories from someone who was in their shoes. Having a local guide and translator also helps a lot. 10) Though we rent event tech from the hotel, we also bring our own accessories to be completely self-reliant. This includes laptops, speakers, clickers, adapters, and batteries. You don’t want to travel 10.000 km to realize one hour before the event that you can’t connect your laptop to the event audio system. 11) We do our event in the evening, and the next day is reserved for interviews and 1on1 talks that people can book right after the event. A hotel lobby with a decent café is the best place for it. We usually start at 8 am and do the interviews the whole day till the evening. Those who pass the first interview continue with the recruitment process remotely. 12) Use the interviews to get more insights about the market: What are the good companies, salary levels, some local specifics and so on. 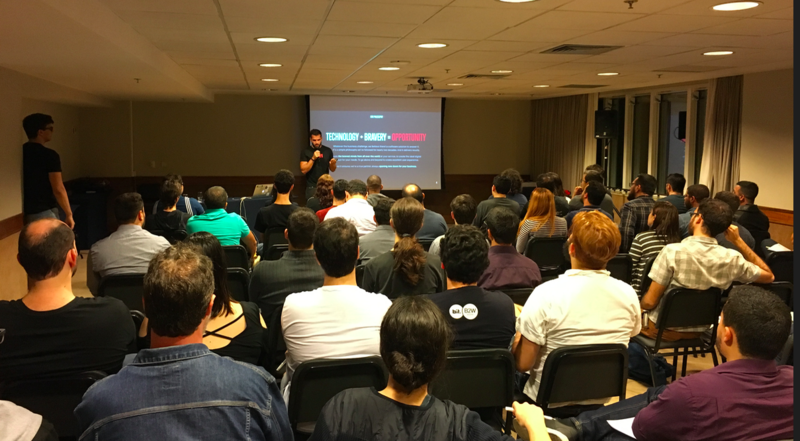 We also spread the word about our referral program, and it’s quite common that people who attended the event bring more friends, some of which are hired later. 13) Bring a lot of merchandise with you because you don’t want to look cheap. We bring stickers, pens, t-shirts, sunglasses, socks and much more. Our luggage is always full of merch. 14) Having an excellent relocation program is vital. It’s not just about the financial incentives but also the practical support. It starts with the immigration process and legal stuff such as healthcare, taxes, real estate and ends up with daily practical help. For example, we always pick up the newcomer at the airport, drive them to their apartment and handover the welcome kit that includes phone, local SIM card, and public transport pass. This goes a long way in making them feel safe and secure. 15) If the visa application takes a lot of time (it’s 3-4 months on average in the Czech Republic), start working with them remotely. It’s a way to take the candidate onboard, get to know each other, test their cooperation and include them in all company communications. When they arrive to the country after receiving their visa, they will already know the company, their team, and their colleagues. 16) Our mission to Brazil was also an excellent opportunity to meet our employees who were previously hired but are still waiting for their visas. We met in person and went out for lunch and drinks. Talking about work and relocation face-to-face is very important for healthy long-term relationships. Skype and Linkedin are great for overcoming geographic limitations but they can become risky when they’re your only avenue for recruitment. When you communicate only by email with a potential candidate you’re doing what thousands of other recruiters do and the fact is emailing just isn’t personal enough to make a real impact. Let’s get out of the comfort zone and do something real. You’ll gain invaluable knowledge and experience, get some fun souvenirs, and most importantly, hire top-tier talent.